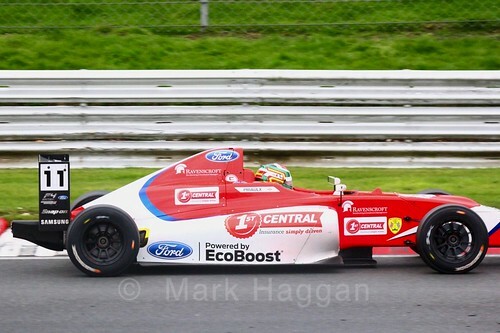 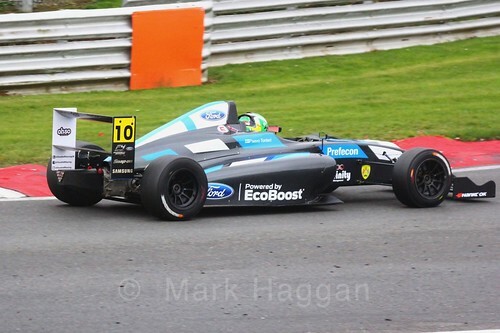 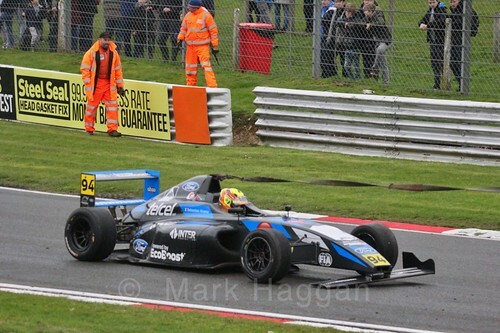 Last weekend saw the British F4 Brands Hatch Opening Rounds 2018, again as part of the support package for the ever popular BTCC series. Although it was a familiar series at a familiar circuit, there were plenty of new drivers in the dynamic and fast paced championship. 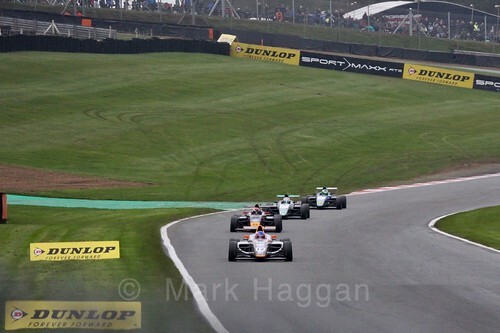 It was a weekend of changeable conditions with a pleasant Friday and Saturday followed by a wet and dark Sunday. 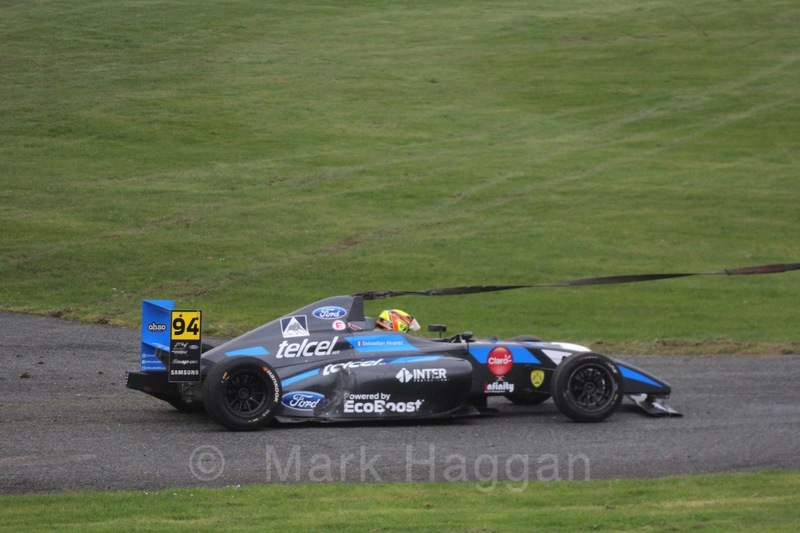 Qualifying saw Ayrton Simmons top the times from Kiern Jewiss and Dennis Hauger, with the second fastest times, used for the third race, having the same three but in the order Simmons, Hauger and Jewiss. Race one saw Simmons convert his pole position to a win, and equally Jewiss and Hauger joined him on the podium. 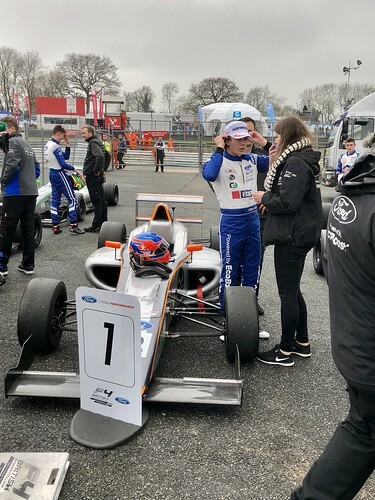 Race two, however, saw Seb Priaulx, new to the championship, claim a win from Simmons, with another series newcomer, Jack Doohan, joining them on the podium. The third race on Sunday saw an odd turn of events where Lucca Allen and Sebastian Alvarez had a coming together, leaving the two cars entwined. They rejoined the track at Graham Hill Bend and travelled together along the Cooper Straight before coming to a halt. It took marshalls a few minutes to get them separated, but eventually the two cars made their way separately back to the pits. 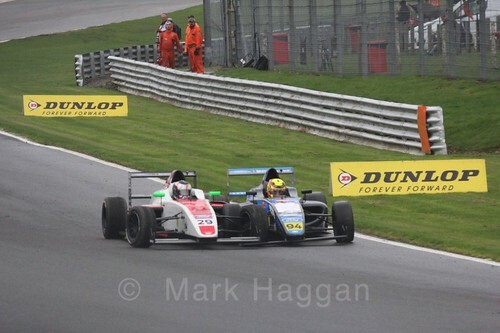 Back on the track, Simmons took his second win of the weekend and the series, with Jewiss joining him again on the podium. 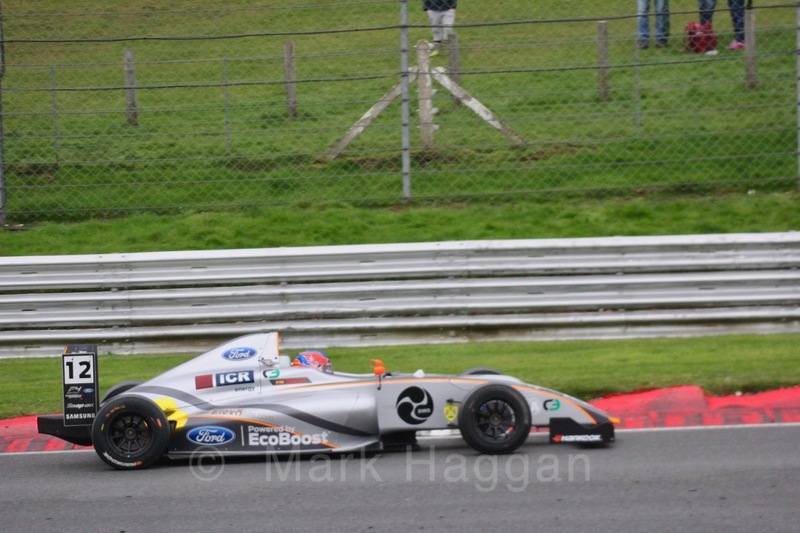 Third place went to Paavo Tonteri. One weekend into the season, and with two wins, Simmons is leading the championship from Seb Priaulx, and Dennis Hauger and Jack Doohan jointly lead the Rookie Cup. 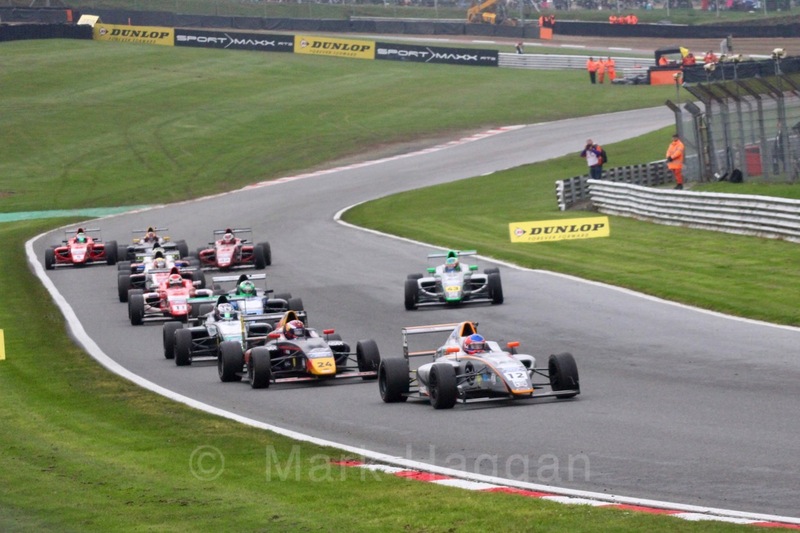 The drivers have a three week wait before they head north to Leicestershire and the challenges of Donington Park. 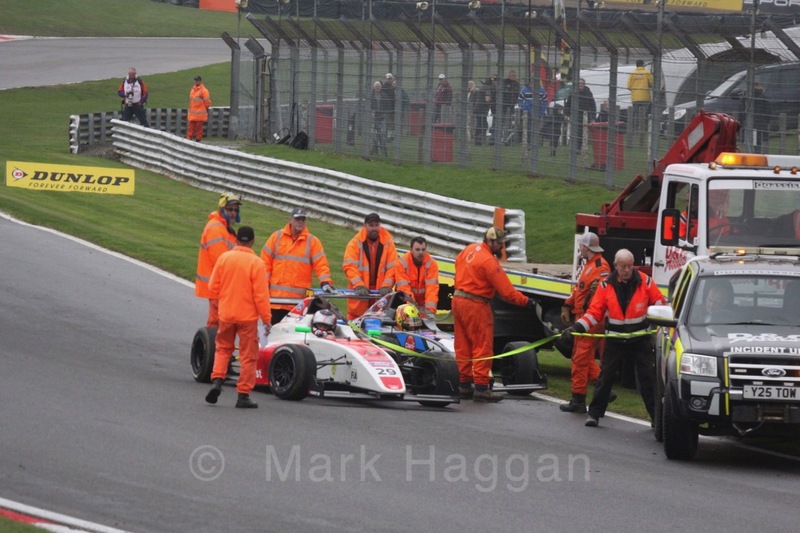 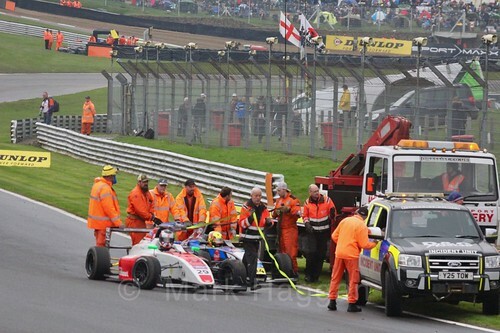 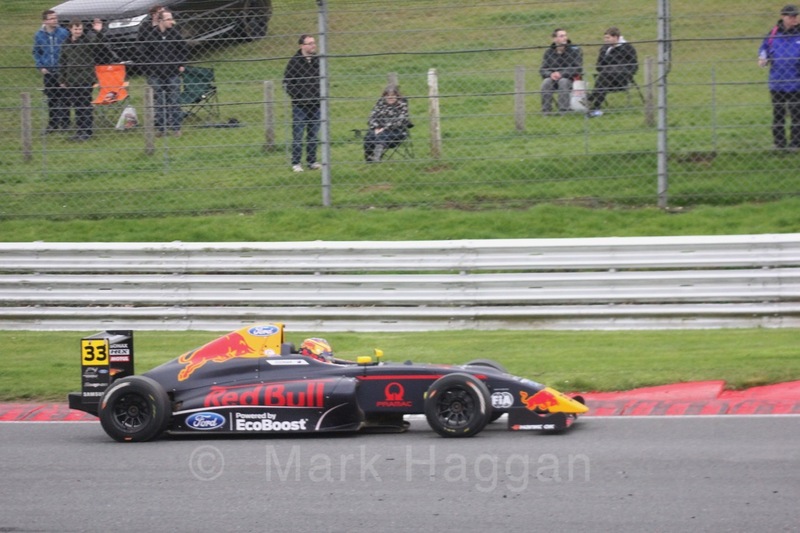 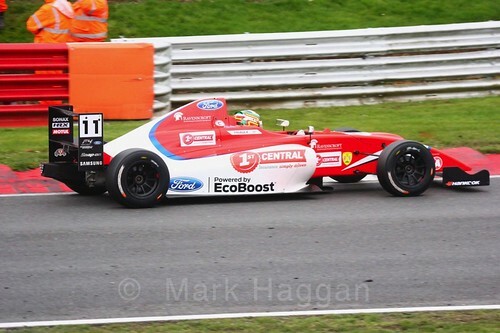 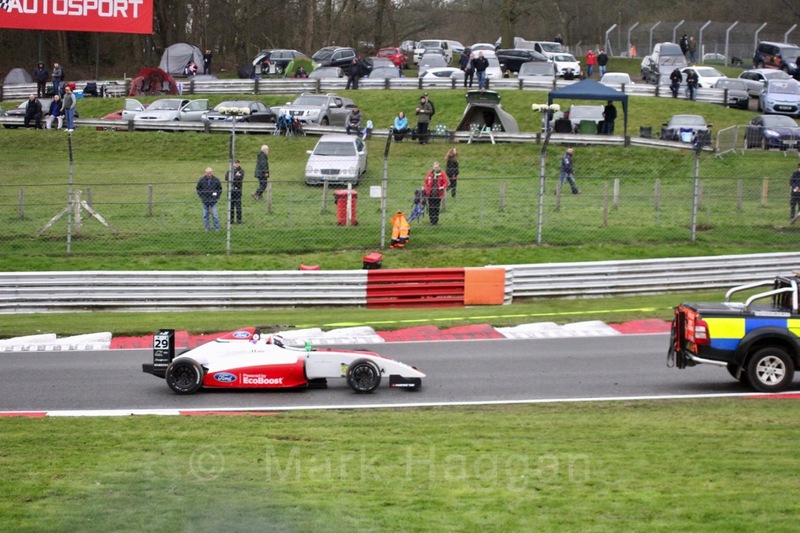 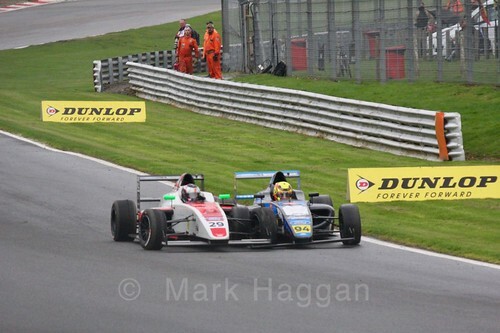 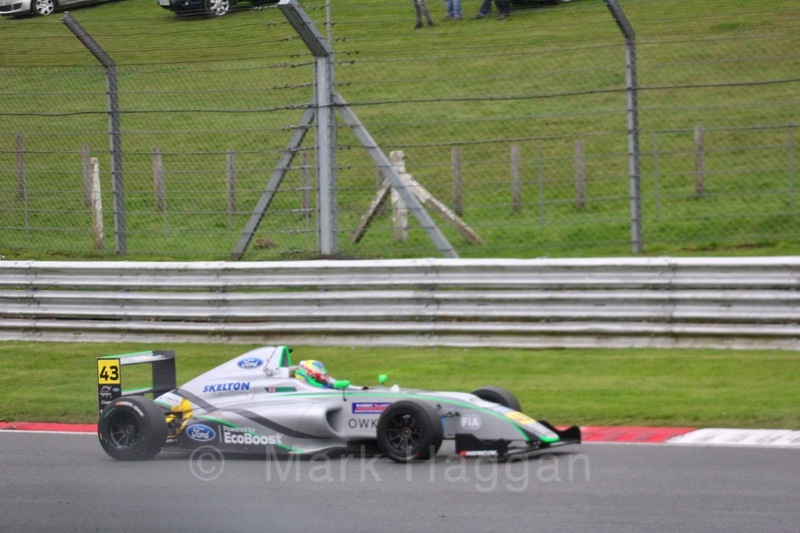 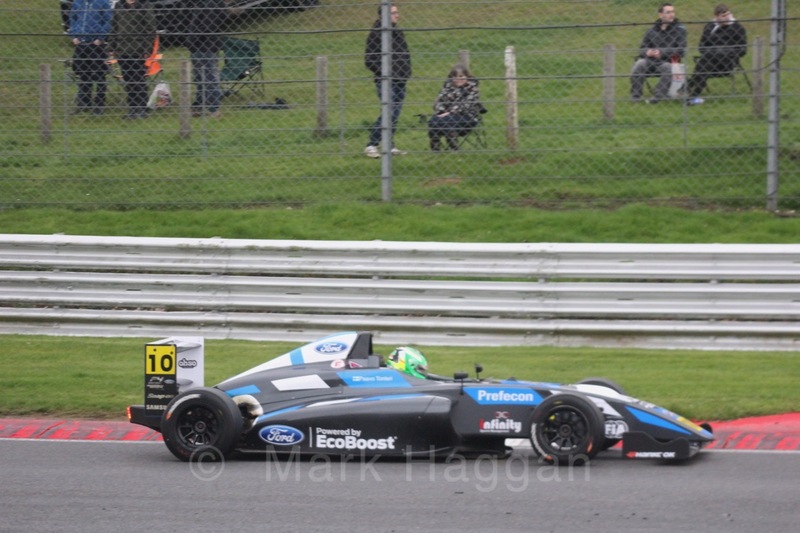 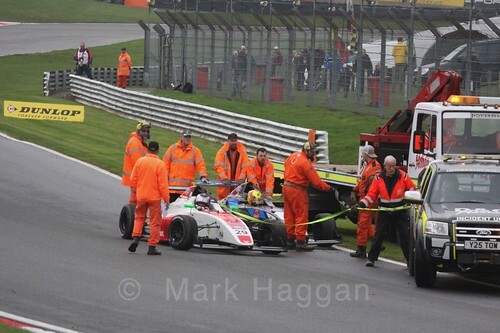 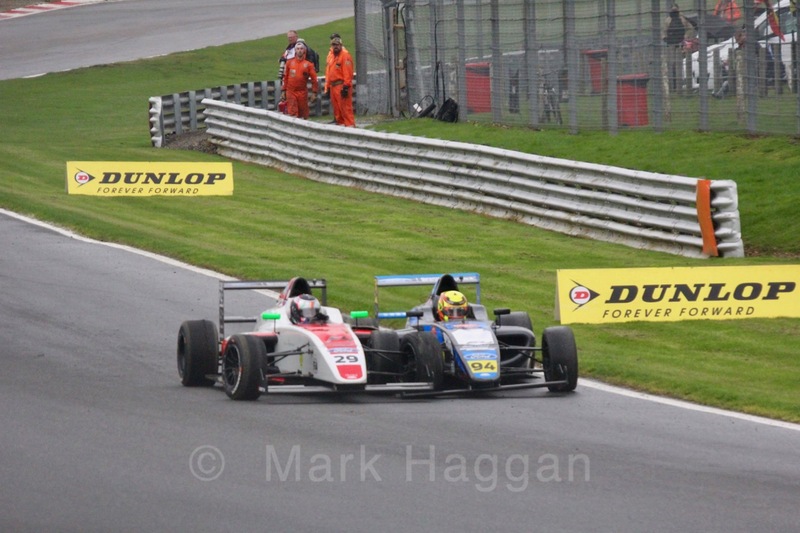 In the meantime, here are a few photos from the opening weekend at Brands Hatch. British Formula Four, Motor Racing Brand Hatch, British F4, British Formula 4, British Formula Four, Formula 4, Formula Four, Motor Racing, Motor Sport. permalink.